Eyes are like windows of the body. It connects us to the world. Therefore, it is important to know the theory of vision as well as the process how it connects to the mind. 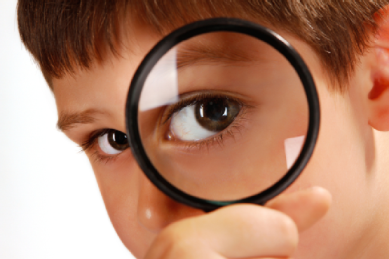 You should offer routine screening of the children’s eyes even though no major problem. There are many causes in malfunction of sight. You should consult a doctor. For children from birth to 4 months: During this time you should keep dim light at night in the child’s room. It is not good that light directly goes into the child’s eyes. Parents should pay particular attention to this. You can change the direction of the child’s bed. It will change every time their vision. Keep mobile and electronic items at least 8-12 inch away. Keep walking while feeding or talking with the baby. They’ll find you with your voice which is good for the eyes. 5-8 Months children: It is very good idea to braze toys over the swing. This will lure their attention and have their eye on this. It also increases the combination of eyes and hands. Also, leave the child in the compound so that he tried to get them to see things. You can also give them blocks. It is helpful to increase their vision. “Pat A Cake” is the game which develops the vision because they use hands and mouth in this game.